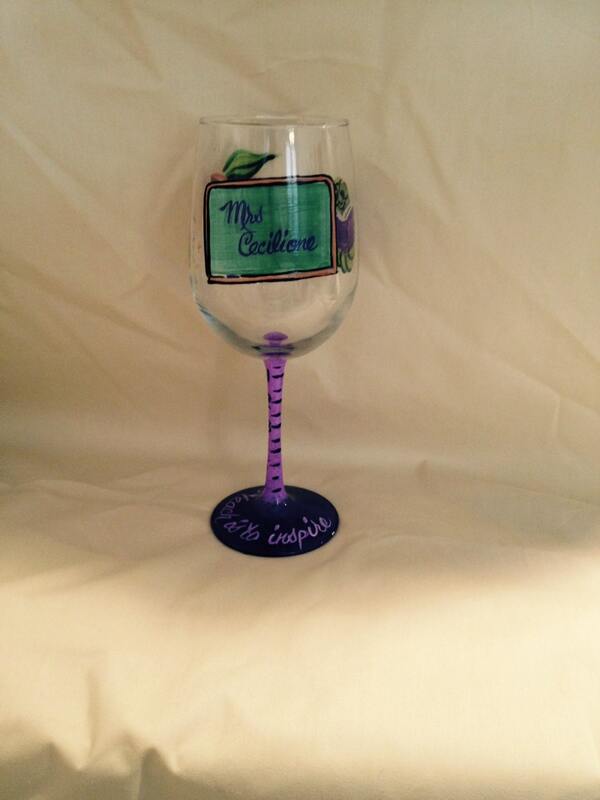 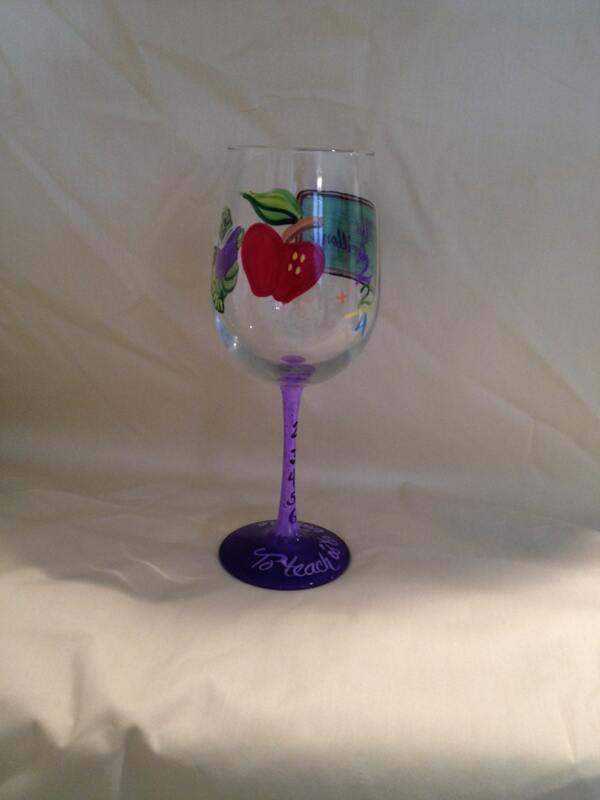 This hand painted wine glass has a teacher theme. 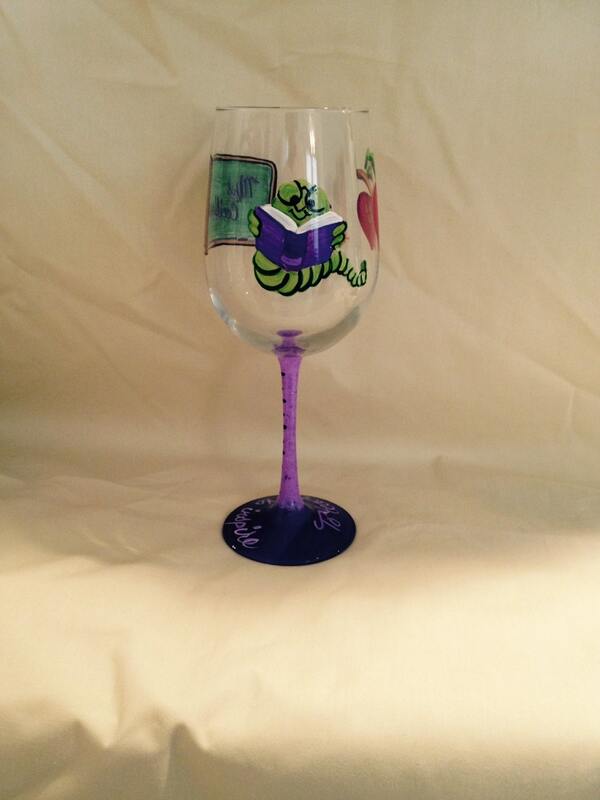 It has a blackboard personalized with your teacher's name or a Messagele, a bookworm, an apple and a stack of books. 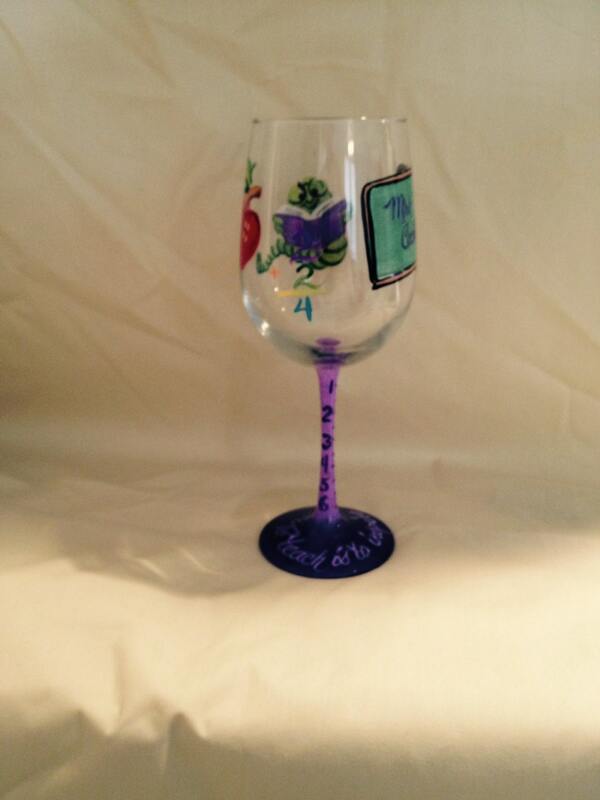 Shown with a purple stem, marked as a ruler.